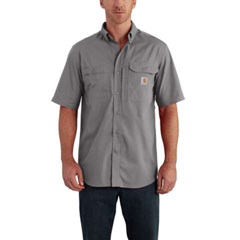 Built for angling or hot days outside, the Force Ridgefield wicks away sweat for comfort and releases stains in the wash. The mesh-lined back keeps you cool as a cucumber. PRICE REFLECTS A 33% DISCOUNT!